Is it worth using StockFetcher? If you want to trade seriously, you need a stock screener. It is one of the most useful tools to have in your trading arsenal. They allow you to find potential stocks in no more than a couple of clicks. You want to find stocks that can make you huge amounts of profit with the smallest amount of effort. That is what StockFetcher allows you to do. Stockfetcher is a site used by thousands of people each and every day. 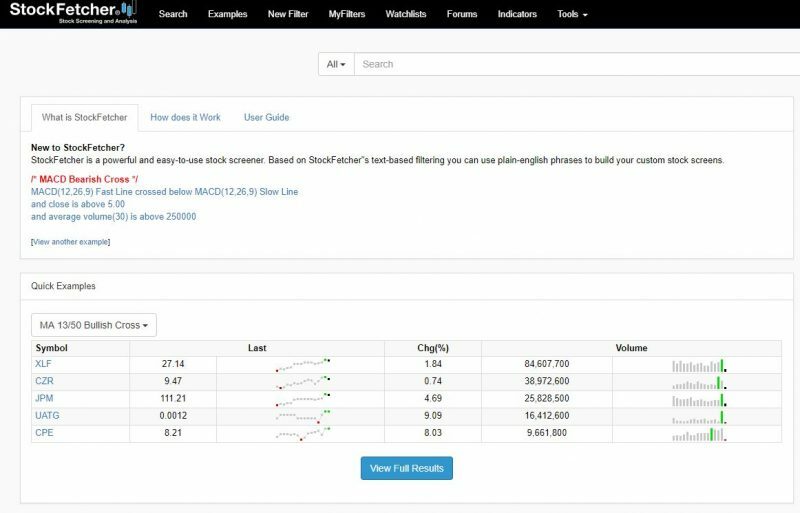 It allows you to search for stocks using several different parameters. No matter what your overall trading style is, or even how experienced you are as a trader, Stockfetcher is one of those memberships that you really need to have at your fingertips. In fact, you are probably going to be having this site open up 100% of the time while you are doing your daily trades. You won’t be using any other system this much…and no other system is going to earn you as much cash as Stockfetcher will. What is StockFetcher? StockFetcher is what is known as a ‘stock screener’. Now, I know that a lot of you who are reading this are going to be new to the whole world of trading. This means that you probably don’t have the foggiest what a stock screener is. 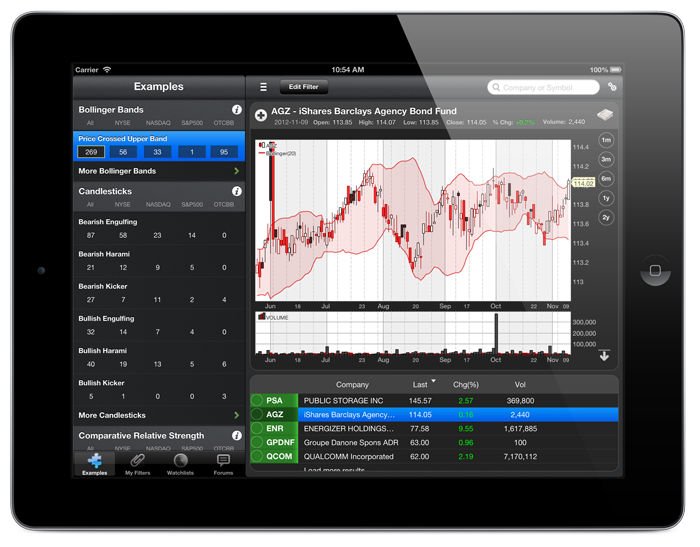 A stock screener allows you to find stocks. Think of it as akin to a search engine. However, instead of tapping in search terms you want to find, you set a couple of different ‘metrics’ that you can use to really drill down to a selection of stocks. This way you can find something that is perfect for you. Some stock screeners (such as StockFetcher) will allow you to do a whole lot more than this too. For example; you may be able to see the stock price history in a candlestick chart, or something even more fanciful than that. While at first glance it may not seem like StockFetcher has had a lot of cash poured into it (the homepage is admittedly bland), this is one of the more sophisticated stock screeners online. 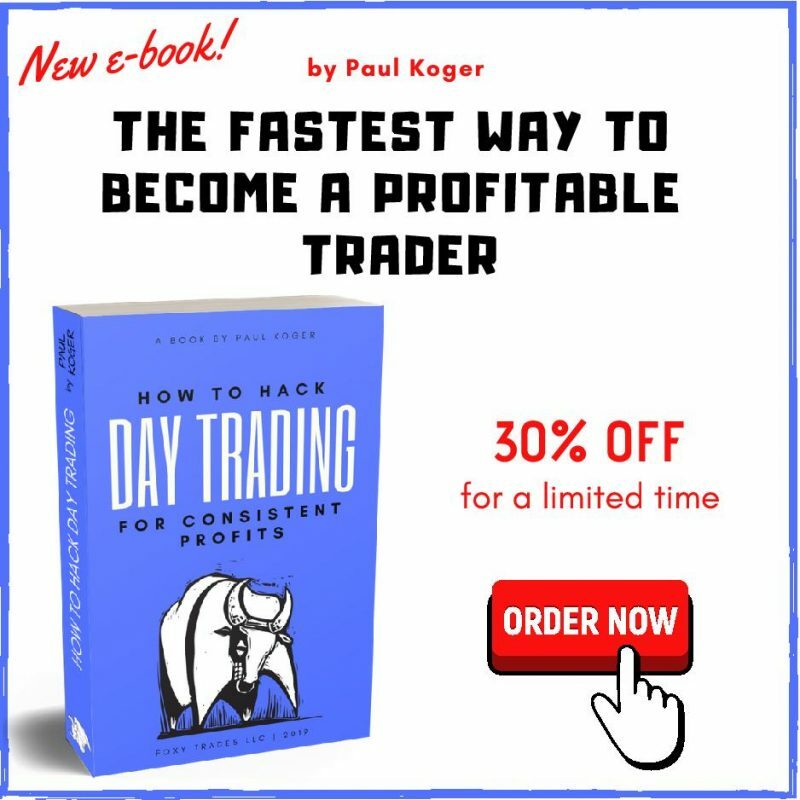 Now, it is going to be a touch tricky to use for the newbie, but once you really start to nail down how everything with the site works, you will quickly start integrating it into your day-to-day stock trading routine. Anybody that is trading stocks. While it is a service that is marketed at beginners, if you are engaging in regular stock trading then you need to have some sort of stock screener service in your tool kit. Since this is one of the cheapest services on the market, just about everybody is going to be able to benefit from this to an extent. I am going to talk a little bit later about whether beginners will really be able to get to grips with the system. But, more on that soon! I am just 400-words into this review, but I have already pointed out a couple of times that the StockFetcher website does look on the simple side of things. I know that many people are turned off by this. Most stock tools are flashy, probably in a bid to pull you in. However, it is evident that the team at StockFetcher have taken the idea of ‘work on the tools, not the design’. All the money has been poured into ensuring that the tools work properly, and that you are able to carry out your searches with ease. There are a few changes that I would love them to make to the site, but more on that in a while. I think one of the major benefits of keeping to the simple side of things is that that the site works well, even on older computers. There are some feature-heavy stock checkers on the market which seem to slow down if your computer was not made within the last couple of years. The second that you have a somewhat dodgy internet connection, you can forget about the stock checker working at all. Your internet won’t be fast enough to download the heavy imagery all these sites use. Because StockFetcher likes to keep images and the like to the absolute minimum, you will be able to use this site smoothly with even the poorest of internet connections. 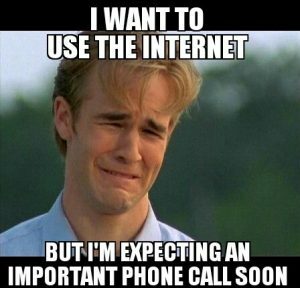 In fact, the site was originally ‘built-up’ when dial-up internet was a bit more prevalent, which should give you an idea about the sort of person this site was initially designed for. Before I really start to dive into the features of StockFetcher, I figured I would quickly go over the pricing options for the service. The first option is your ‘free option’. You can’t do much with this. You can search for stocks on the site, but all the data you have will have a one-day delay. You will not be able to save any of your searches either. It is great for checking out what StockFetcher brings to the table, but after a couple of searches you will have exhausted the benefits of the ‘free option’. Thankfully, by that point you will likely have realized the benefits of StockFetcher and will be itching to sign up to one of the paid options. The standard plan is the most popular option for most newcomers to the world of trading. This will set you back $8.95 per month, although I suggest you go for the $24.95 per quarter option to save yourself a bit of money. As you start getting into more advanced trading and need a few more options at your disposal, you may want to start looking into the advanced plan. This will be $16.95 per month but, once again, if you want to save a bit more money you can opt for the $44.95 per quarter. With the advanced plan on StockFetcher, you won’t really get anything ‘extra’, although there are a couple of more technical searches you can do, I seriously doubt there are many people who will need them. No matter which option you stump up the cash for, the data will be delayed about 20 minutes when the market is open. This means that if you want real time stock prices, you will probably want to look elsewhere. StockFetcher isn’t for snatching those ‘quick deals’, really. One of the things that I really love about StockFetcher is the fact that they really don’t force you to go for the more expensive plan. There are a lot of products out there, and you have probably seen them yourself, which lock off certain features. Key features. That you probably could benefit from as a trader. This is in a bid to encourage you to spend more money. 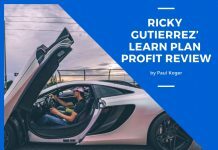 The only time you will need to get more than the standard plan on this site is if you becoming more advanced with your trades. And that means you will actually be making the money to justify the higher subscription price. If you have looked at stock screener programs online before, then you will know that a lot of them are designed to be as simple as possible. This means that there are little drop down menus that you can use to drill down your search to find the stocks that you want. StockFetcher throws this all out of the window. Instead of having drop down menus, StockFetcher uses ‘language-based search’. This means that you will have to type in exactly what you are looking for. Many people have likened this this to ‘coding’, and I guess the system does make it look a little bit like if you were coding. It is a touch simpler, but it is still going to be quite technical to learn the ropes. This is where I feel the real issue is going to be for beginners. There is something nice and safe about having drop down boxes that you can click. It gives you a bit of guidance on the sort of things that you should be looking for. This means that it is going to be quick and easy to find the stocks you want. StockFetcher doesn’t have these drop down boxes at all. Before you even so much as think about finding your first stock on the site (outside of the simple presets), you are going to need to learn how the system works. Thankfully, there is a fantastic user guide on the site which will help you work out how to write your searches. Don’t forget; once you have a paid account, you can save your filter so you never need to type it in again. There are plenty of filters you can find online that you can copy anyway, so not a major issue. That being said, I do like the language-based way to find data on this site. This is because it allows you to make far more complicated filters than you would be able to make anywhere else. That comes in handy once you start getting a bit more advanced when it comes to finding the stocks that you want. I have been able to carry out searches on StockFetcher that I have been unable to carry out on any other website. This means that if I am looking for something very, very specific then StockFetcher is always going to be my first port of call. There is nothing better out there. This example will just show you stocks which have fallen by more than 10% over the past day. Simple. You can obviously edit the numbers how you see fit. The more search terms you combine, the better the site gets at helping you. As I said; there are plenty of examples on the site to get you started, and I seriously doubt that you are going to be veering away from the examples any time soon. In fact, even more advanced traders are unlikely to be veering away from the examples. You don’t need to. This is where the real excitement with StockFetcher comes from. You have over 125 indicators, with more being added all the time, which you can use to shake up the searches that you are making with the site. Another thing I love about StockFetcher is the fact that you do not need to go hunting around on other websites to find out what these technical indicators actually mean. There is a complete glossary of the terms on the site, with a plethora of examples so you can see how they actually work. I must admit, they do get a little bit on the technical side of things at times. This means that you may have a bit of difficulty understanding complicated terms if you are new, but that is fine. As I said; you probably won’t be touching the more complicated technical indicators at the start…if ever. This is what sets StockFetcher apart from other stock checker systems out there. The charting system in StockFetcher is absolutely sublime. The charts are fully interactive. This means that you can browse them to your heart’s content, and even add notes to the charts if you want. You can even export the data for further processing. The charts are easy to read. One issue that I have had with many, many stock checker sites online is the fact that they make things complicated for the sake of being complicated. 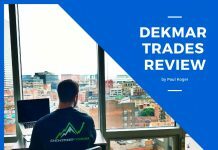 This can make the charts convoluted, which you really do not want if you are looking to find answers to your trading woes within a couple of seconds. Complicated charts also slow down how quickly the site loads, so if you are checking stocks on your phone, you are going to be sapping your phone bandwidth like there is no tomorrow. This is fairly self-explanatory. You are able to save the filters you want, as well as watch lists. This means that once you have everything set-up, whatever you need should be no more than a click or two away. Even if you just opt for the standard package with StockFetcher, you are still going to have enough space in your save list to keep you going for months and months without needing to delete anything. It is quite remarkable how much ‘bang for your buck’ the site gives you. I think it is. Obviously, it does have the downsides of having a language that you need to learn if you want to carry out searches. However, as I mentioned, as soon as you work out how all of that works, you are going to be carrying out more complicated and specific searches than you would with any other stock checker that you can find online. This makes the system more than worth learning. If you are a beginner, you are going to be getting plenty of help in getting started anyway, so it is not exactly completely closed off to the less-technical minded of us. I just wish that they could introduce a couple of drop down boxes that people can use, at least at the start. However, since the ‘base functionality’ of the site has not been upgraded in a while, I seriously doubt this is going to happen any time soon. Some people may also have a couple of complaints about the fact that Stockchecker uses delayed data. However, bear in mind that this isn’t really a tool for looking up ‘up to the minute’ data. It is to just give you a nudge towards some stocks that you may want to check out. As long as you have this open next to a real time feed of the markets, I seriously doubt it is going to cause you too many issues. 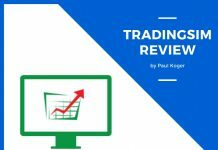 Other than that, I think that this site is perfect for beginners and experienced traders alike. 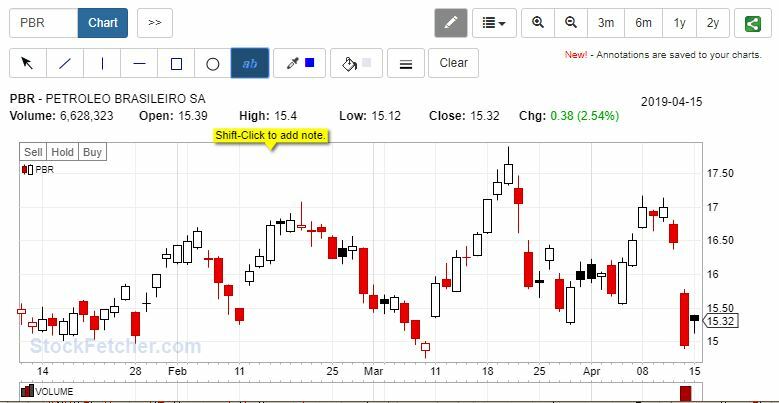 All of us, particularly swing traders, are going to need to have access to a quality stock checker tool, so why not make it this one?